This brisk little book is so funny, it's easy to forget that it's also highly insightful cultural criticism. Eagleton spares no one in his surgical yet affectionate comparison of the cultures of England, Ireland, and the USA. Surprisingly profound. Americans have long been fascinated with the oddness of the British, but the English, says literary critic Terry Eagleton, find their transatlantic neighbors just as strange. Only an alien race would admiringly refer to a colleague as "aggressive," use superlatives to describe everything from one's pet dog to one's rock collection, or speak frequently of being "empowered." Why, asks Eagleton, must we broadcast our children's school grades with bumper stickers announcing "My Child Made the Honor Roll"? Why don't we appreciate the indispensability of the teapot? And why must we remain so irritatingly optimistic, even when all signs point to failure? On his quirky journey through the language, geography, and national character of the United States, Eagleton proves to be at once an informal and utterly idiosyncratic guide to our peculiar race. He answers the questions his compatriots have always had but (being British) dare not ask, like why Americans willingly rise at the crack of dawn, even on Sundays, or why we publicly chastise cigarette smokers as if we're all spokespeople for the surgeon general. 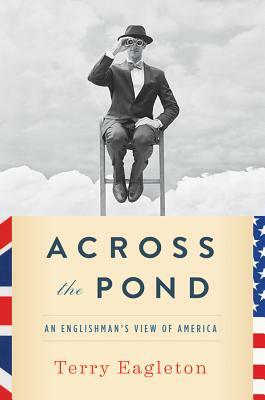 In this pithy, warmhearted, and very funny book, Eagleton melds a good old-fashioned roast with genuine admiration for his neighbors "across the pond."